My name is Marvin. 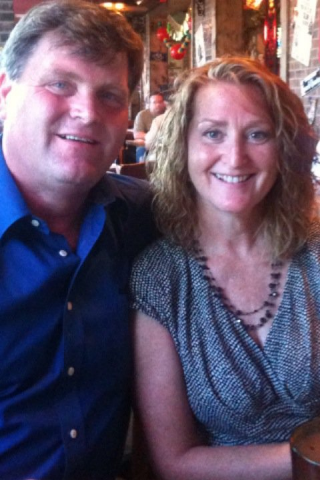 My wife, Brenda and I are the owners of Mold Experts of Missouri & Kansas. We pride ourselves on being a small family owned mold company. Many years ago I worked for one of the largest franchise mold companies in the country and I was their lead technician in Dallas, TX. They gave me valuable training and experience that I am forever grateful for. But Brenda and I wanted to build our company based on, not only quality service and a job well done, but also emphasizing the personal relationship between the customer (you) and our company. Because of my personal experience with my daughter (see It’s Personal Page) I truly feel your concern and fears surrounding your mold issues. I really WANT to help you. It is not just about the money with us. We become emotionally involved, wanting to alleviate your fears by doing a great job at the most reasonable price possible. After a mold removal project is complete, we get unbelievable satisfaction at finding you happy and relieved of stress and worry when you know your family is safe again. 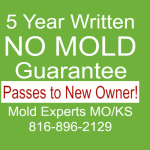 We have many years of experience and training in all areas of mold. No job is too small or too large for us. We often remediate mold in one room or one corner of a room. But we also regularly do much larger projects that involve several floors. We have personally worked Hurricanes Ike and Katrina. Our experience in all types of situations makes us confident on how to handle any mold situation. You can rest assured you are in good hands. We will save your home from mold, and in no time at all it will again be a safe haven for you and your family. We pride ourselves on being not only professional but the true gentlemen of the industry. We feel your concern and anxiety over your loss. We will do all within our power to make it go away and make it like it never even happened. Customer service and satisfaction are our highest priorities. Call us with any concerns you have. If you do not use our company, please use a reputable mold removal company. 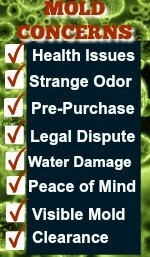 Many carpet cleaning companies or contractors claim to do mold removal, but not many are qualified to do them properly. They do carpet cleaning or remodeling 90% of the time, and only do mold 10% of the time. We ONLY do mold, period, 100% of the time. 1) Do they use commercial HEPA vacuums? 2) Do they use commercial air scrubbers? 3) Ask them what fungicides and mold sealants they use. If you hire us and become our client, we promise that you will be satisfied with our work. Our previous customers have often said this about us, “I would recommend Mold Experts to anyone including my closest friends and family. They have to be among the nicest, and truly caring companies I have ever had the privilege of working with”.